Fr Paul Sciberras, who is head of Department of Sacred Scripture, Hebrew and Greek, at the university of Malta, shares how through a recent Life in the Spirit seminars run by a ladies’ prayer group in Malta the meaning of his priesthood and his understanding of the word of God have been brought alive in a new way. On July 8, twenty-six years ago, I was ordained priest, and I began the extremely intensive training in the biblical languages and exegesis at the Pontifical Biblical Institute in Rome. The particular training I received there was precisely not to trust anything in the world, not to accept any statement about the Bible if not hermetically grounded in the Hebrew, Aramaic and Greek Bible texts. Everything, but everything, had to be dissected and filtered and scanned with the extra-fine tooth combs of Historical-Critical Methods, and a myriad of other approaches. Everything had to go through the mind. Everything had to be analysed and reanalysed and double checked, and rechecked again, for good measure! Even myself! As I began lecturing at university and giving talks here and there, I began to see that this was not satisfying me. This was not it! Last January I received an invitation for the Life in the Spirit seminars. It was something for which I had been waiting for a long time. The invitation was sent by the Delegate for the Clergy and the Seminars had the blessing of the Archbishop. 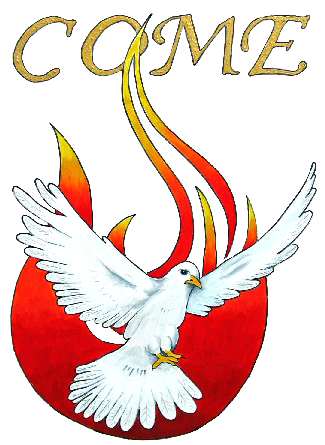 The Seminars were going to be organised and led by a Catholic Charismatic Group of women. On the 18th February 2014, we received the Baptism in the Spirit. So, letting go and giving more and more space to Jesus! Fundamentally, I have always wanted to be holy! I want to be holy! I want to be a good priest! I want to be a holy priest; yes, I want it! It’s not worth it otherwise. So it has to be like that. Even if it was going to tear me asunder! Surrendering! But then, isn’t it supposed to be like that all our life? What do we really mean when we say we are priests in persona Christi capitis? What do we really mean when we say we are alter Christus as ordained priests? What was that “Here I am”, and the four-times “Yes, I will, I will, I will, I will with the help of God” we promised at our ordination? What do we pray when we say the Our Father at Mass, at Lauds and Vespers: “Our Father, your Kingdom come, your will be done …” if not your kingship come, your action and workings in us? After Baptism in the Spirit, I began surrendering to the Holy Spirit and Mass has become a heavenly experience. The peace! The joy! After Consecration, I can now kneel in adoration and pray earnestly: “My Lord and my God!” Surrendering, I began daring to pray with others. Now it’s not difficult anymore to stop and pray. I don’t ask “what shall I say? What is there to say?” I just pray … and it’s always beautiful, sometimes even in tongues! One of the Courses I teach at university is Biblical Inspiration and Interpretation. It’s trying to hammer it into the heads and hearts of my students that the Bible is inspired by God; that it has the Holy Spirit as its author, with man as co-author. But what does it mean that the Holy Spirit has written the Bible? Now another different quest is taking place: not only how does the Holy Spirit inspire the Bible, breathe his power into the Bible, but how does the Bible breathe God back to me/us? Now it is more complete, it makes much more sense, and makes the Bible much more personal! Bible scholarship and ministry in the diocese, at the university, and in the parishes is my way of obedience to the Church in the person and will of my bishop. Bathing this charism in the Spirit of the Church and for the Church has always meant the world to me. Now it comes much more from the heart and makes much more sense; I feel it’s becoming more wisdom and knowledge, besides information and scholarship. Prior to this, prayer sessions with the Bible were becoming a nightmare: I couldn’t use the Bible anymore for my prayer. They had become alternative exegesis sessions! The Liturgy of the Hours for a long time had been a heavy burden to me. I still remained faithful in this service of praying with and for the Church, but I didn’t want to be praying the breviary and end up questioning the translation made or the mistaken literary structure given to this or that psalm! My faith has become much more alive. Now I am really enjoying my quiet time in the form of Lectio Divina. My faith has become much more alive; a relationship! My ministry, especially Mass and Confessions, have been revamped. Healing prayers are now becoming more frequent. I have been praying for the sick at Mass for some years now, but after 18 February it became meaningful and full of faith. One other prompting from the Spirit as a result of Baptism in the Spirit is encouragement. Touching people in their hearts, to be able to get up on their two feet and believe in the power of God in their lives! And finally – I consider it the catalyst of all that I am going through – the joy; the deep-seated joy where I feel so much at peace, so much! Even to my own surprise! Surrendering to the Spirit of Jesus! Yes, it’s possible! It’s very good for me! It’s the only way! 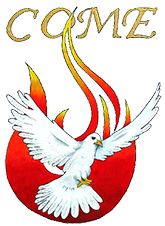 Article published in Good News, CCR in the United Kingdom, titled: “Renewed in the Holy Spirit”.